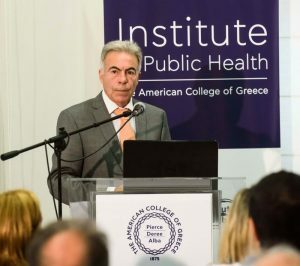 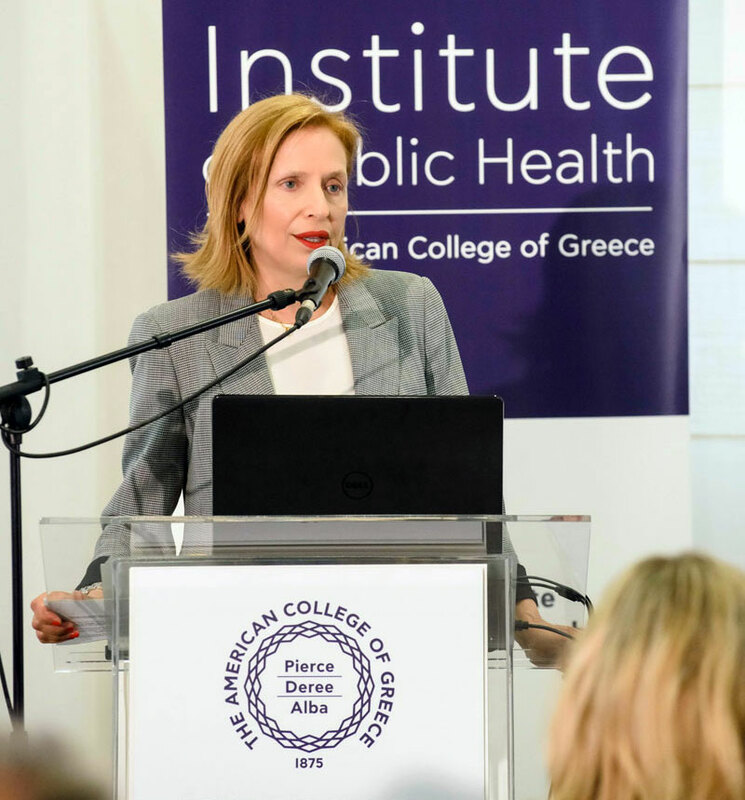 In celebration of The World Health Organization’s World No Tobacco Day on May 31st 2018, the George D. Behrakis Research Lab, together with the Institute of Public Health of The American College of Greece, organized a Press Conference where the General Secretary of Public Health at the Ministry of Health of Greece, Mr. Ioannis Baskozos, Representative of the Hellenic parliament, Deputy of Attica, Mr. Ioannis Dedes, Emeritus Professor of Cardiology, Dr. Dionysios Kokkinos and the President of the Hellenic Post, Ms. Efrosini Stavrakis took part as honoured guests. 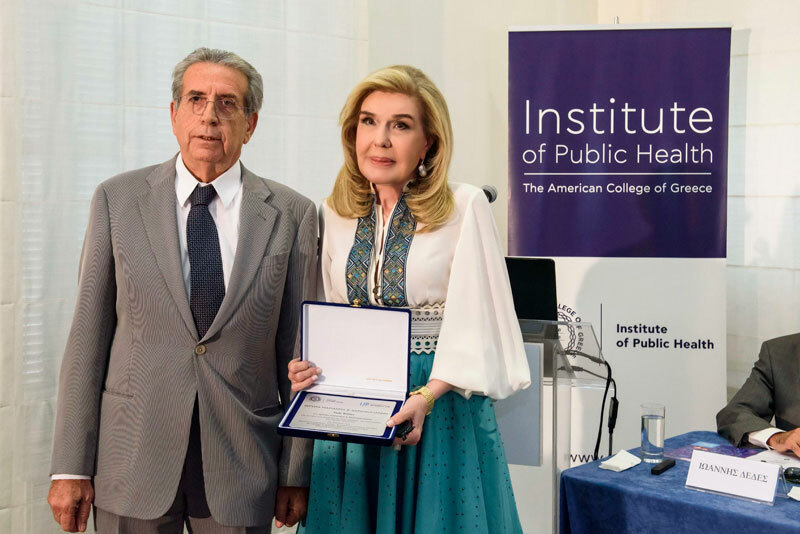 During the press conference, the president of The Institute of Public Health- ACG, Professor, Panagiotis Behrakis awarded Mrs. Marianna Vardinogianni, UNESCO Goodwill Ambassador and Mrs. Alexandra Stassinopoulou from the Public Benefit Foundation Michail N. Stassinopoulos -VIOHALCO for their long-term support to the educational works and efforts of the SmokefreeGreece campaign. Professor Kokkinos stressed that smoking is a major risk factor for the onset of coronary heart disease, myocardial infarction, peripheral vascular disease, stroke and aortic aneurysms. 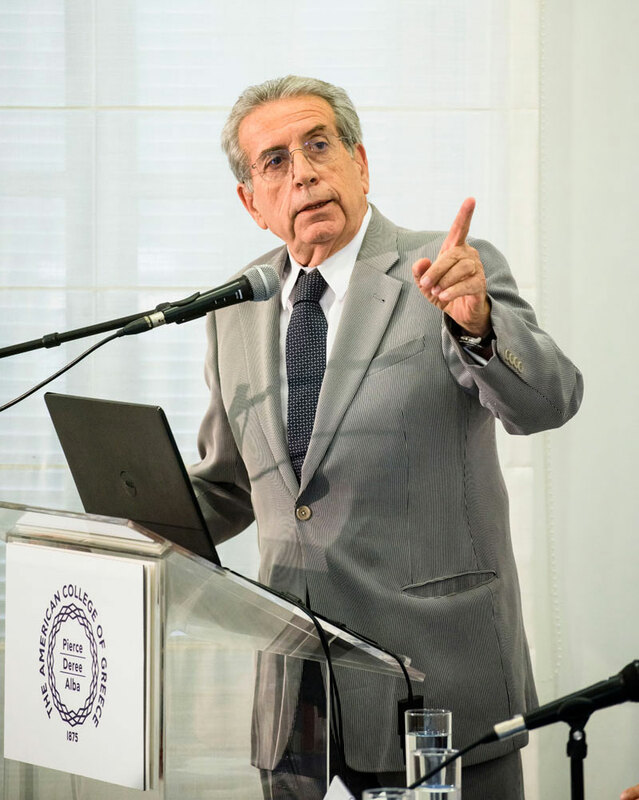 The WHO dedicated this year’s World No Tobacco Day to the impact of tobacco use on the cardiovascular system. 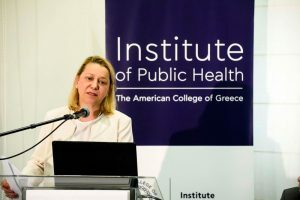 He also reported that smoking is responsible for 28% of the death of men and 13% of the deaths of women aged 35-60 years. 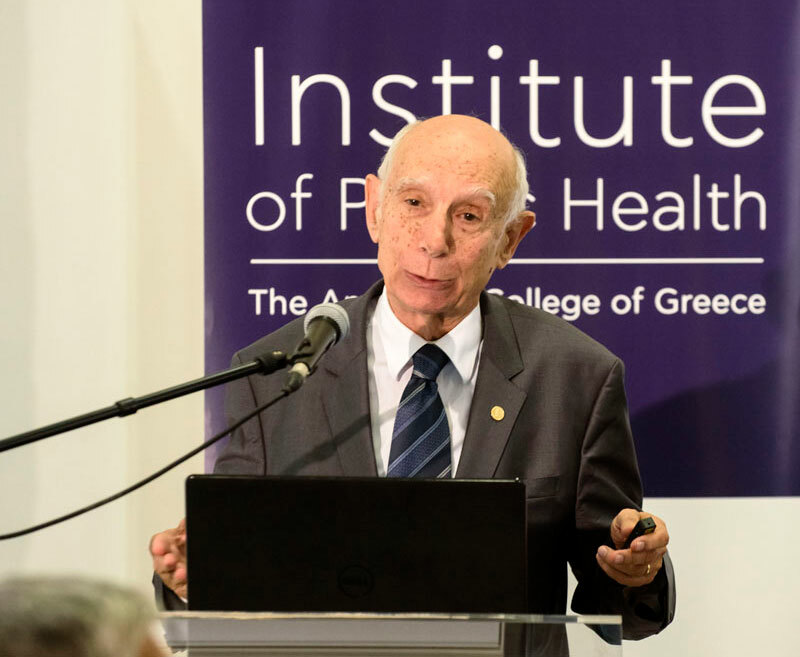 Cardiovascular disease is the leading cause of morbidity and mortality worldwide and 12% of those deaths are attributable to smoking. 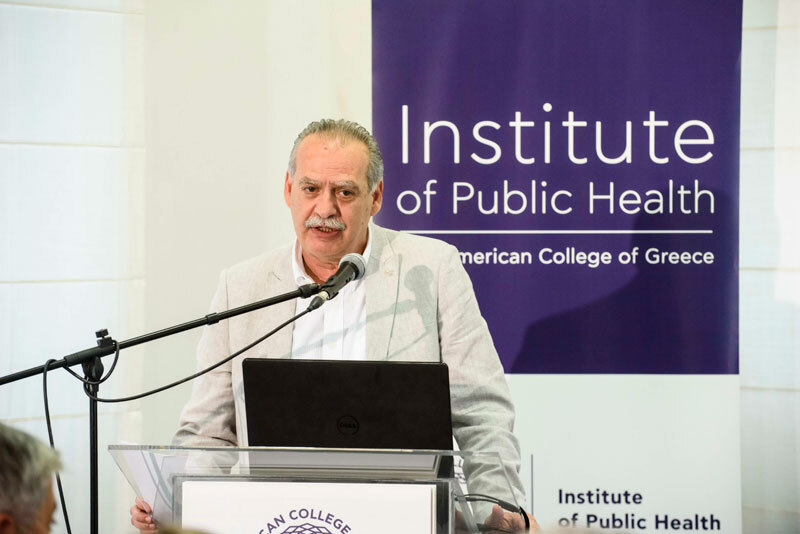 Passive smoking also increases the risk of developing cardiovascular disease by up to 30% with no minimum threshold of cigarettes that put someone at risk. 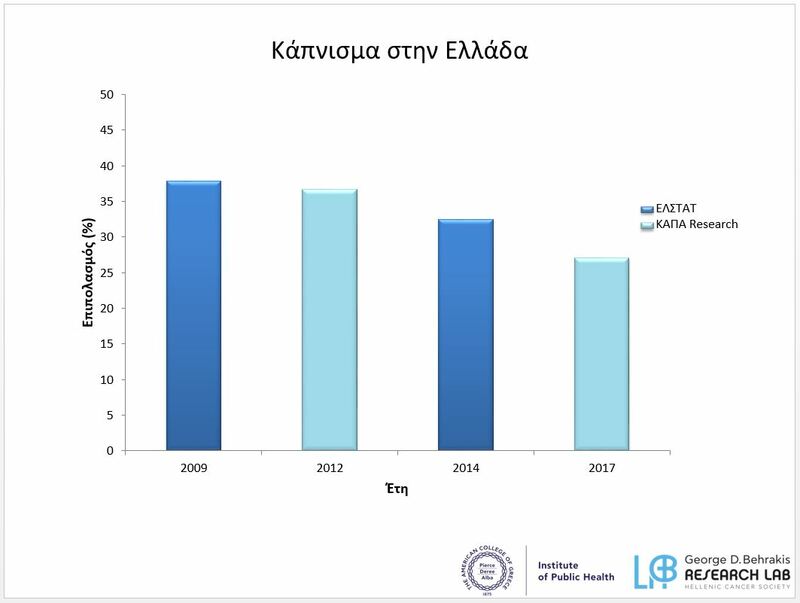 Professor Panagiotis Behrakis referred to the reduction of total smokers by 9 percentage points in Greece in recent years (reference from KAPA Research and the Hellenic Statistical Authority). 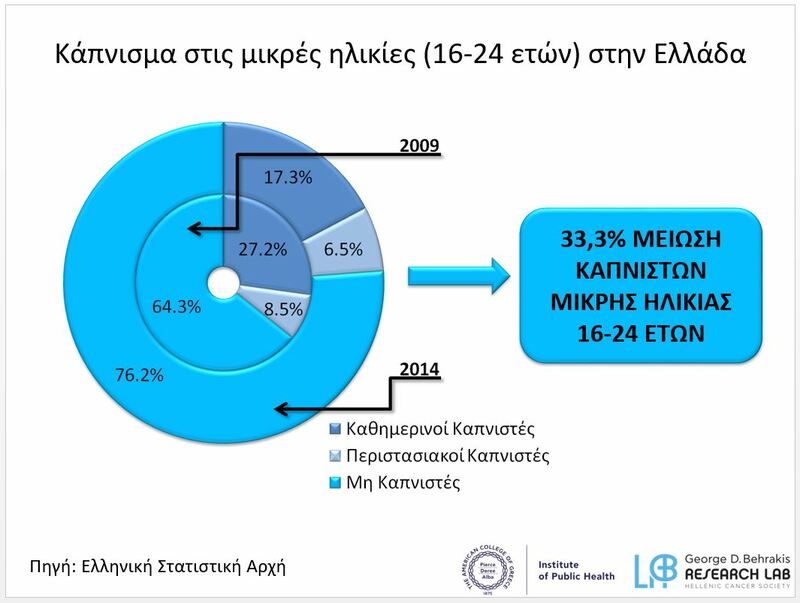 He also stressed that according to ELSTAT, there has been a 33.3% reduction in overall smokers between the ages of 16-24 years between 2009-2014 in Greece. 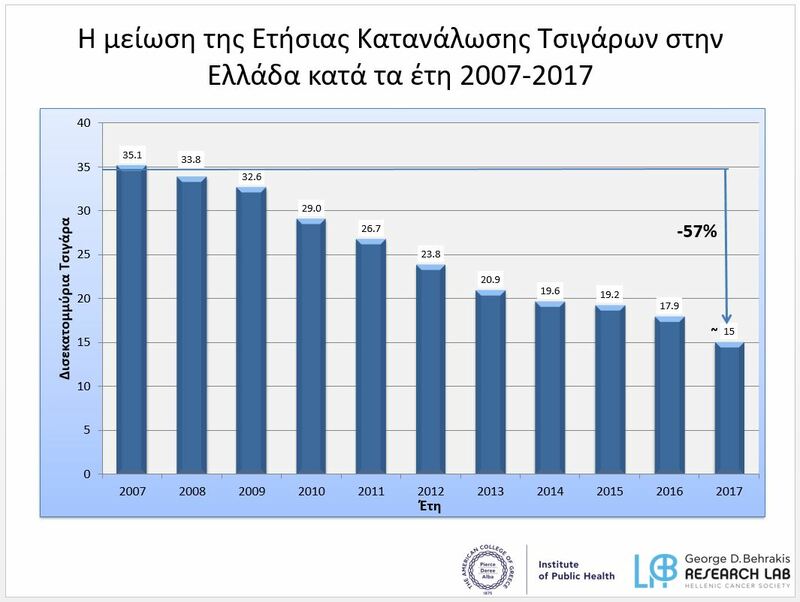 Also remarkable, is the reduction of annual consumption of cigarettes by 57% in the past decade in Greece. 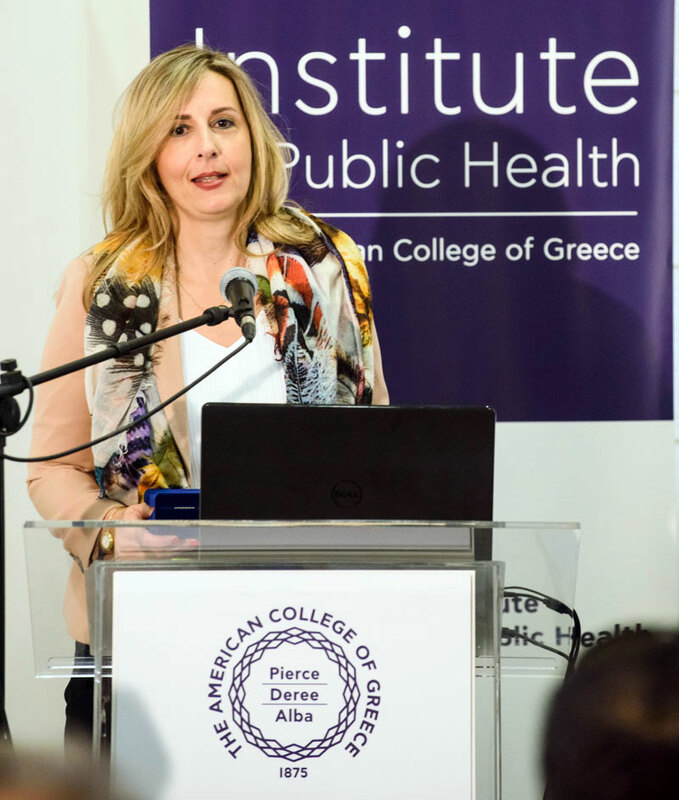 Dr. Vaso Evangelopoulou, Pulmonologist/Intensivist of the George D.Behrakis Research Laboratory presented the new “Learn Not to Smoke” notebook, the philosophy of which is, to present in a positive way, messages to children about life and choosing not to smoke. 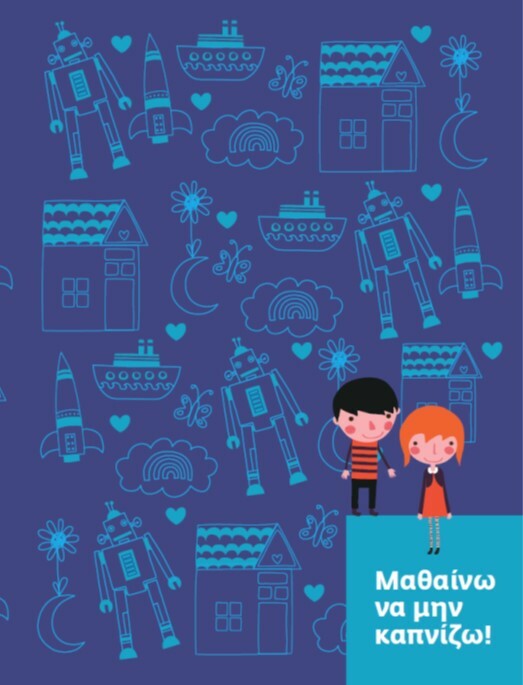 160,000 copies of the notebook were printed by the Hellenic National Printing Office sponsored by the Hellenic Parliament and the Hellenic Post for distribution to elementary school students in the 5th and 6th grade across the country. 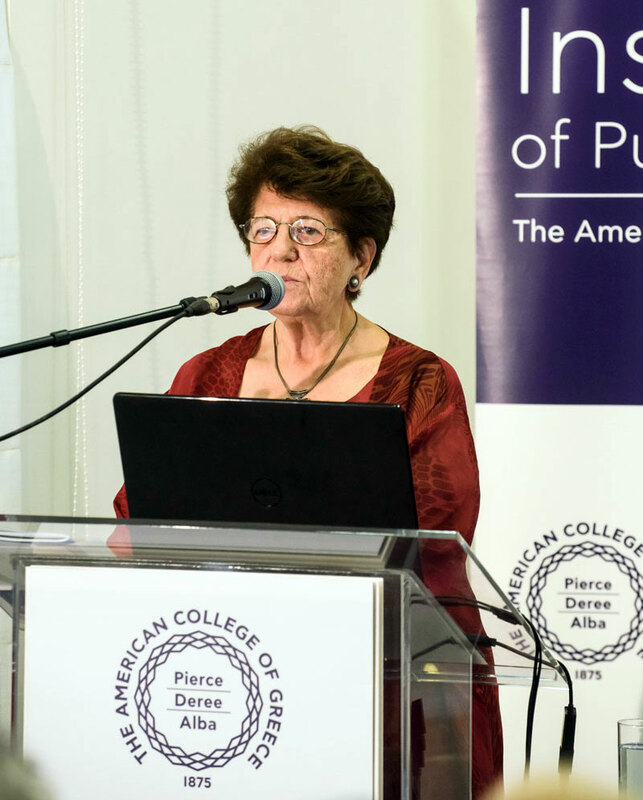 Mrs Efrosini Stavraki, President of Hellenic Post.